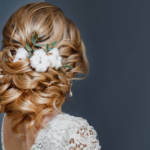 Hair color treatments have always been a popular style choice, but it seems they’ve never been as hot as they are this decade. Now anyone who wants to color their hair has all sorts of options to choose from—naturals, unnaturals, ombre, balayage, bronde, babylights, lowlights and the ever classic highlights, to name a few. Highlighting can be a gateway into the wonderful world of hair dye, serving as a subtler option for those who don’t want to commit their entire head to one color, or just want to add a bit of depth to their natural hair color. No matter which end of the spectrum you’re on, we’ve put together a quick guide on how highlights work and how to pick the best color and style for yourself! If you’re as invested in trends as we are, you’ve done your research and know exactly which highlighting methods are considered in this year. However, even the most stylish person can struggle to keep up with the constantly fluctuating ideas of what’s hot and what’s not. We recommend looking up current hair dyeing trends before making any major decisions about your highlights. The style and coloring you choose may majorly affect your quality hair care routine in one way or another. You may want to choose carefully depending on your lifestyle and how much time you have to devote to your hair care throughout each day. How Will I Know What Works for Me? Ombre and balayage are still as popular as ever, and work best for those looking for something subtle and natural. Lowlights are even subtler and meant to blend in with your hair’s natural coloring to create more depth and body. Consider it a reverse of the typical ombre style, going from light to dark. Standard foil highlighting is great for those looking for a certain amount of control when it comes to coloring placement. You or your stylist can use foil in sections of your hair to determine the exact spots you want your highlighting to go. You don’t have to go subtle! You can also opt for bigger, blockier highlights to help brighten your hair. No one wants to or intends to run to the salon for a new ‘do without first knowing how to take care of the aftermath! First off, know the dyeing process damages hair, no matter the condition of it beforehand. That’s just the way chemicals work. However, you can soothe some of the damage by putting together an excellent wash routine with sulfate free shampoo and conditioner. One of the most common types of damage to dyed hair is dryness. A high quality leave in conditioner will help restore some of your hair’s moisture, improving its health and making its newly added color last longer. These aren’t the only things you should know about highlighting and quality hair care in general! If you have any questions or simply want more information on how to go about coloring your hair, get in touch with us! 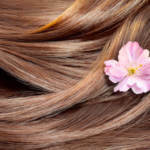 These Are Four Hair Myths You Should Never Believe!